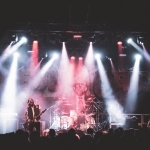 German melodic death/doom metallers NAILED TO OBSCURITY released their Nuclear Blast debut »Black Frost« last Friday. 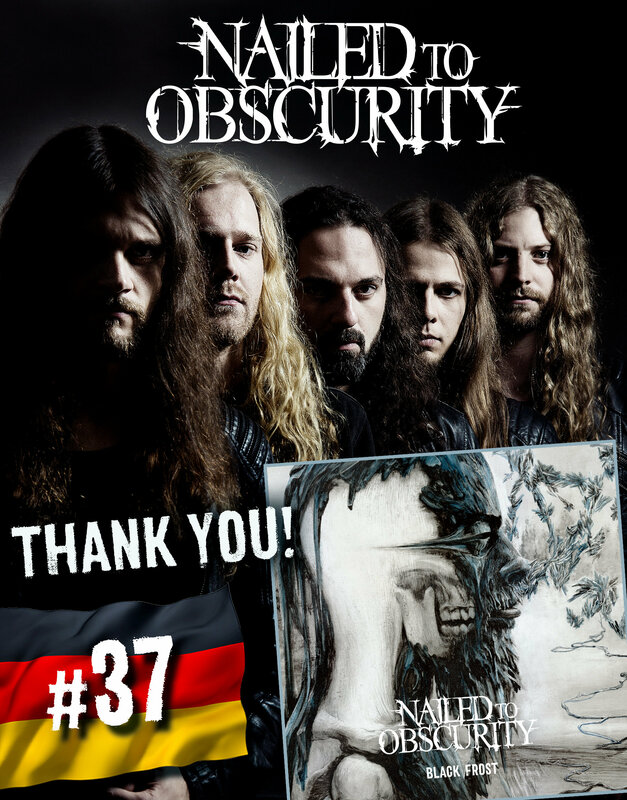 Today the group can proudly announce that their 4th studio album has hit the German album charts at #37. Congratulations to East Frisia! Order »Black Frost« in various formats (TS+DIGI BUNDLE, DIGI, LP), here: http://nblast.de/NTOBlackFrost. Re-issues of two of the band’s older albums, »Opaque« & »King Delusion«, are available now too. »Black Frost« features 7 brand new extensive tracks which absorb the listener with their stunning atmosphere without sacrificing the band’s remarkable sound. The album was recorded at Woodshed Studio (near Landshut, Germany) with producer V. Santura (TRIPTYKON, DARK FORTRESS, BARREN EARTH, OBSCURA etc.) and the artwork was once again designed by Santiago Caruso.